Along with dropping the prices on all of its USB-C adapters accessories to help new MacBook Pro owners transition to USB-C more affordably, Apple has also introduced some significant price cuts to the 4K and 5K LG UltraFine Displays that were announced at its October 27 Mac event. 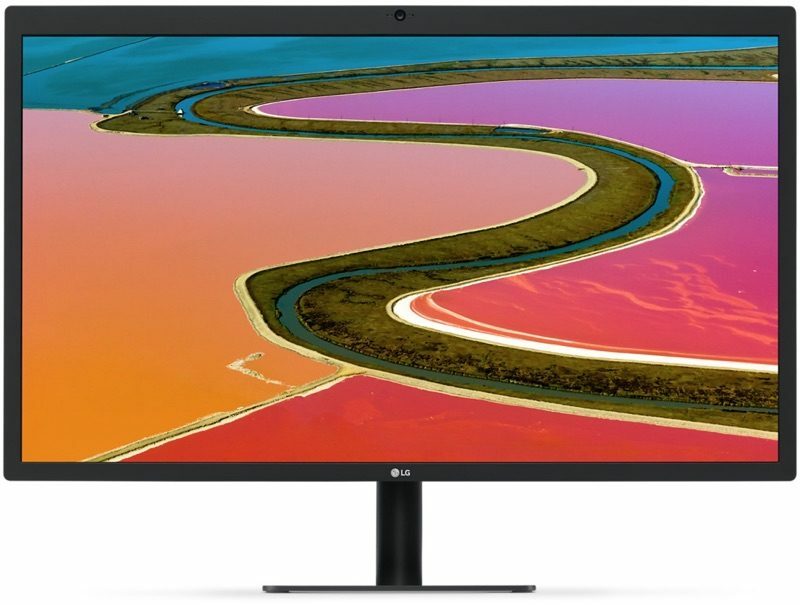 The LG UltraFine 5K Display is now priced at $974, a $325 price cut from its original price of $1,299.95. The LG UltraFine 4K Display is now priced at $524, a $175 price cut from its original price of $699.95. Each of LG UltraFine Display was designed in partnership with Apple to work specifically with the new MacBook Pro. The displays connect to the Apple's new MacBook Pro machines over Thunderbolt 3 and have features like built-in USB-C ports, charging capabilities, stereo speakers, P3 wide color gamut support, and on the 5K monitor, a camera and a microphone. LG's 4K display is available for purchase immediately from the online Apple Store and will ship out to customers in five to six weeks. The 5K Display is not yet available for purchase, with Apple planning to launch it in December. The price drops on the two displays are labeled as "Special Pricing" and will last until the end of the year. Apple also plans to discount its USB-C adapters until the end of 2016. Great, now let's discount the MacBook Pro 25% till the end of the year. Wow. That's a pretty good price for the 5k. I can't wait to hear what people have to complain about this. Wow! Weird! That LG 5K UltraFine is looking a lot less ugly at that price point. Tempted. Edit: Nope, that monitor is still hideous. It would appear the word got back to Apple about their user base not being happy about being taken advantage of just for being a loyal Mac user. So much for our friends out there saying that the complainers should just shut up or leave because complaining won't do any good. If they were designed in partnership with LG, why are they so ugly? Would it have killed them to improve the design to be a little bit more in line with the rest of Apple products? The price cut is welcome, but that's just shaving off the Apple tax. On a non-Apple product. Next: MacBook Pro price drop please. What is the point of buying 5K monitor now when the iPhone can only take 4K videos? Will the text be too small to see? I am a programmer. I think I've heard that there are video sources other than iPhone. Don't quote me on that though.